MORO -- Donald "Bud" Hicks, 84, died Saturday, November 18, 2006, in an Abilene hospital. Services will be 10:00 a.m. on Tuesday, November 21, 2006, in the Ovalo Baptist Church with the Reverends Marcy Grun and Bob Griffith officiating. Burial will be in Lakeview Cemetery, Winters, directed by Fry - Bartlett Funeral Home in Tuscola. Visitation will be held from 6:00 ? 8:00 p.m. today at the funeral home. Bud was born July 11, 1922, in Wingate, to O. L. and Della Pauline Garrett Hicks. He married Josie Reid, January 17, 1942, in Shep. He was a U. S. Army Air Corps veteran of WW II. A barber, he worked in Abilene from 1956 to 1969 when he opened a shop in Tuscola, retiring in 1992. He also farmed in the Moro area since 1964. He was a deacon in Ovalo Baptist Church and formerly of Moro Baptist Church, where he was ordained in 1952. Preceding him in death were his parents and a twin brother, William Walton "Pete" Hicks. 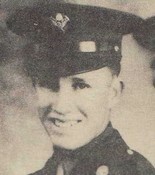 Survivors include his wife, Josie Hicks of Ovalo; one son, Gary Hicks of Abilene; one daughter, Paula Kaye Hicks of Dallas; one daughter-in-law, Cynthia Hicks of Abilene; one grandson, Avel Don Hicks of Ft. Benning, Georgia; one granddaughter, Monica Hicks of Abilene; several sisters-in-law, brothers-in-law, nieces and nephews, and many friends.